Already started on Radio 4 but sounds well worth a listen to fans of the LA shamus... hopefully I can get around to listening to the past and forthcoming episodes! All of the novels get a radio dramatization and a couple of docu's too. I'm all over this, cheers for that. There was also another play on BBC 7 recently, "The Blue Dahlia". I started listening, but kept getting annoyed by the fact that they gave Chandler an English accent in it, which seems to be taking dramatic licence a bit too far. Just because he went to school in Dulwich doesn't mean he talked like Noel Coward! I'm looking forward to the Marlowe adaptations, though. That's a startling find! Thanks for the link. I've not really ever seen or heard any Chandler/Hammett stuff in any medium other than the books so the Chandler stuff plus anything previously of DH's all = good news. Greedily I'd really like to hear 'Red Wind' by RC performed too, that's my bestest short of his. I've got a load of Chandler audiobooks read by Elliott Gould which I don't actually like. 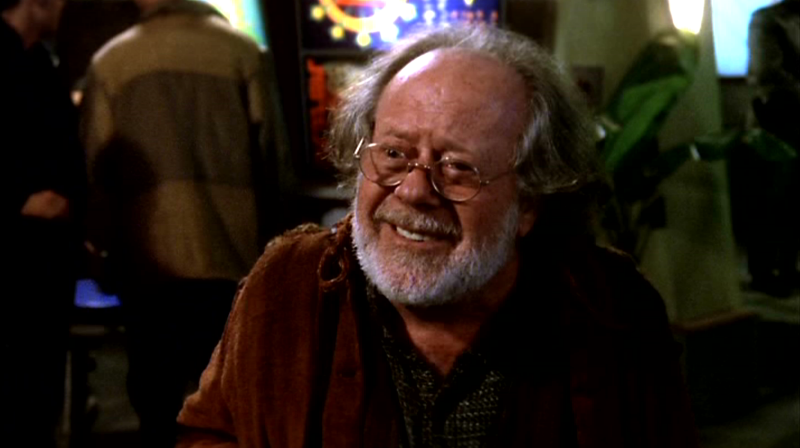 I'm not a fan of Gould and hated that version of The Long Goodbye he was in that Robert Altman directed. I'm sure there are a few fans of it on here though, I remember talking about it a while back. I highly recommend the Region 1 version of The Maltese Falcon (the 3 disc edition). It includes three film versions (1931, 1936 and 1941), some radio adaptations, and a documentary. 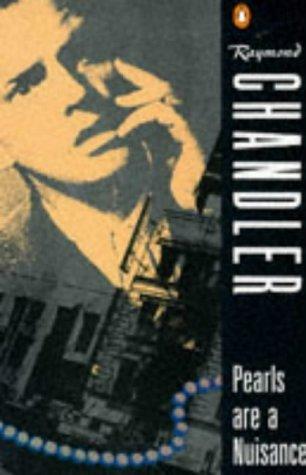 "Pearls Are A Nuisance" is my favourite Chandler story, but I presume it won't feature in this season as it hasn't got Marlowe in it. Has anyone read any of his essays as well? "The Simple Art Of Murder" is probably the most well known, but he also made some very pertinent criticisms of the film industry that still ring true so many years after they were written. I've got PaaN but there's a huge misprint within as a middle-latter part of the story is reprinted where the last few pages are meant to be! I wonder if it's worth fifty billion quid. Thinking about it I did see that rather sleazy Altman version of The Long Goodbye and didn't think much of it either, it seemed to miss the whole point of Marlowe. I have read TSAOM, it has been included in a few editions of the novels I own. Not seen the others, with these and this series and the new Hammett stuff there's a lot I need to get stuck into. Am articularly looking forward to the radio version of Farewell, My Lovely, just about my favourite full-lengther. I actually enjoyed the play with Peter Barkworth as Chandler, early 1980's I'd have said. Written by Ray Connolly, wish he'd do more radio plays and less occasionally surfacing in the Daily Heil. I started listening, but kept getting annoyed by the fact that they gave Chandler an English accent in it, which seems to be taking dramatic licence a bit too far. Just because he went to school in Dulwich doesn't mean he talked like Noel Coward! Just listened to 'A Coat, A Hat and A Gun' and there's a clip of a slightly drunken Chandler in that. He sounds curiously transatlantic, the first voice that came to mind was that of 'the dog guy' in the Seinfeld episode, The Dog. Good programme, well worth a listen. Yes I enjoyed that Chandler programme, I realised that virtually all I knew about him was the standard few paragraphs' biography in the novels. Enjoyable though and looking forward to the next one! Well I enjoyed episode 2, The Lady in the Lake more than The Big Sleep and am warming to Toby Stephen's portayal, definitely aced more nuances in that one. Farewell, My Lovely (below!) is available now and hopefully I'll get around to listening to iit tomorrow - the one I'm hoping for the greatest things from.